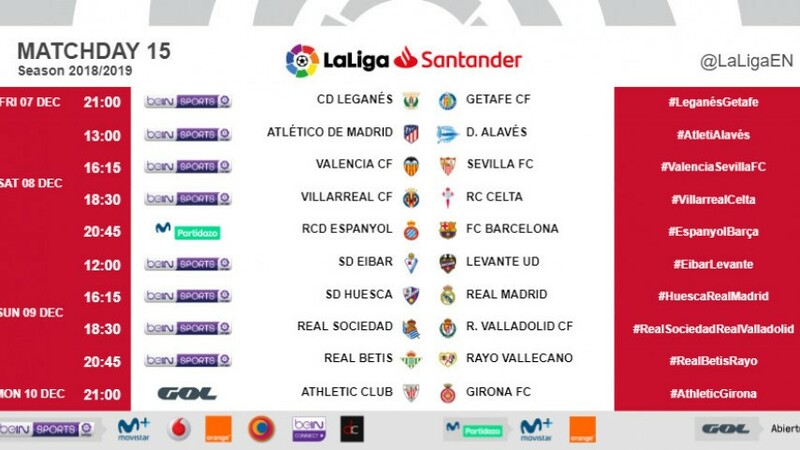 LaLiga have confirmed dates and kick-off times for Matchday 15 of LaLiga Santander 2018/19. The match between CD Leganes and Getafe CF gets the action underway at 21:00 CET on Friday 7 December. Athletic Club and Girona FC will end the Matchday on Monday 10 December at 21:00 CET.